Extensively renovated 4-bedroom, 3-bathroom home with designer finishes throughout is situated on a large 7,700 sf lot. 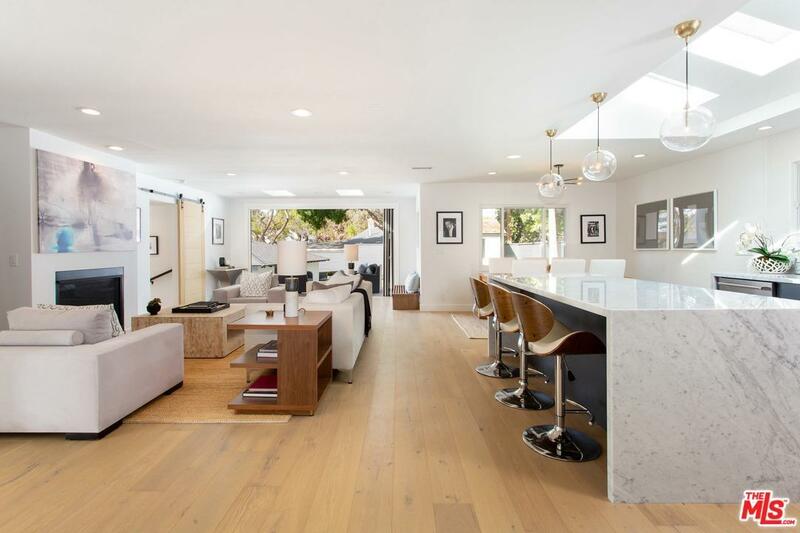 This light & bright open floorplan boasts hardwood floors throughout, a chef's kitchen with quartz countertops, custom cabinetry, stainless steel appliances, and breakfast bar adjacent to the living room which opens to the manicured backyard and detached studio. The sumptuous master suite features ample closet space and an en-suite spa inspired bathroom. The home also offers 3 more generous size bedrooms, inside laundry area, and detached 2 car garage.